Sword in the Stone, The (film) An animated feature, set in the medieval era at a time when the English king dies leaving no heir. In the churchyard of a cathedral in London a sword appears imbedded in a stone, inscribed: “Who so pulleth out this sword of this stone and anvil is rightwise king born of England.” Although many try, no one can budge the sword from the stone. Deep in the dark woods, kindly, but absentminded Merlin the Magician begins to teach eleven-year-old Arthur who is called “Wart” and who lives in the castle of Sir Ector where he is an apprentice squire to burly, oafish Sir Kay when he is not washing mounds of pots and pans in the scullery. By being changed by Merlin into various animals, Wart learns the basic truths of life, but he also runs into the evil Madam Mim, who tries to destroy him. Merlin and Mim have a Wizard’s Duel during which each changes into various creatures, with Merlin using his wits to win. On New Year’s Day a great tournament is held in London to pick a new king. Wart, attending as Kay’s squire, forgets Kay’s sword, and runs back to the inn to get it, but the inn is locked. 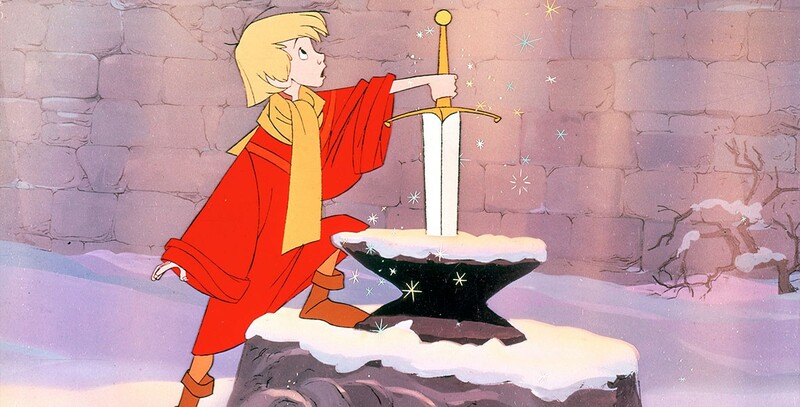 Seeing the sword in the stone, Wart, innocently, and easily, pulls it out. When the knights marvel at the wondrous sword, and question where he got it, Wart has to prove himself all over again, and again he pulls the sword from the stone. Wart is proclaimed king by the marveling warriors. Wart as King Arthur is apprehensive of his ability to govern, but Merlin returns to reassure him. Released on December 25, 1963. Directed by Wolfgang Reitherman. Based on the book by T. H. White. 79 min. Features the voices of Ricky Sorensen (Wart), Sebastian Cabot (Narrator), Karl Swenson (Merlin), Junius Matthews (Archimedes), Norman Alden (Sir Kay), Martha Wentworth (Madam Mim, Granny Squirrel, Scullery Maid). The film marked Wolfgang Reitherman’s first solo directorial effort for a feature film. The movie is somewhat dated, being filled with 1960s references, but it has some wonderful moments, especially the highly imaginative Wizard’s Duel. 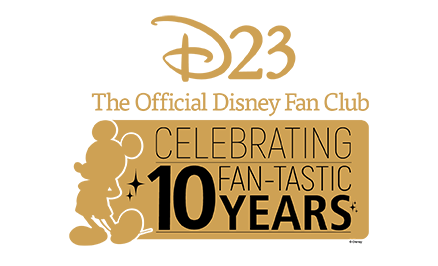 The songs, including “A Most Befuddling Thing,” “That’s What Makes the World Go Round,” “Higitus Figitus,” and “The Legend of the Sword in the Stone,” were written by Richard M. Sherman and Robert B. Sherman. The motion picture was re-released theatrically in 1972 and 1983, and inspired the Sword in the Stone ceremony at the Disney theme parks. Released on video in 1986.